Linebackers probably have one of the toughest positions to play in football if not the entire assortment of popular sports today. As a linebacker you essentially have to be a track and field runner, a gymnast and a wrestler. You’re the captain of the defense when it comes to keeping other players in your team safe and you have to be able to dish out as much punishment as you can take. Speed, agility, raw physical strength and durability are some of the key characteristics linebackers need to have. And that’s not even including a high level of motivation, courage and dogged determination to keep you on top of your game each time you’re out in the field playing your post. But all of these natural aspects can only do so much for you to succeed as a linebacker. You need to enhance your natural abilities to play your position efficiently. And that’s why we’re going to talk about the best football equipment for linebackers. 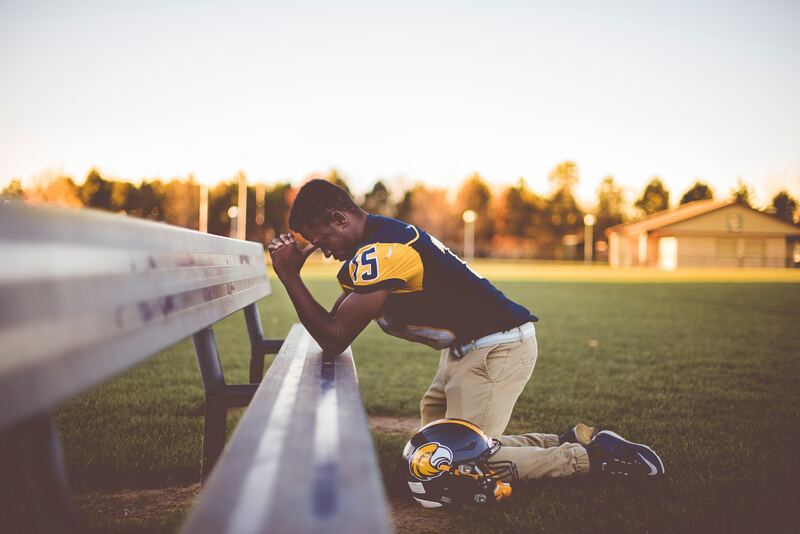 Equipping yourself with the best football equipment for linebackers won’t only enhance what you already have naturally but it will also improve the mental aspect of your game. After all, if you know you’re headed for a car crash and you know you’re going to survive it intact and still get the full adrenaline rush that you so crave, wouldn’t you want to keep on doing it? Yeah, so, let’s take a look at the best football equipment for linebackers that you should have in your arsenal so you can perform your duties to the best of your ability. Okay, we’re going to talk about Cleats, Gloves, Shoulder Pads, Padded Compression, and Additional Protection items that’ll help enhance your game! You can do away with all the other stuff as long as you have a good pair of cleats on your feet. Well, not really but let us humor you with this fact. Linebackers have to hold the line in order to put a game play into effect. This requires meeting an opposing force head on. The resulting wrestling match is something akin to what you’d see in a sumo match. There’s going to be a lot of pushing and shoving around and if your shoes aren’t up to par, you’re going to end up sliding back which is something you definitely do not want. Having proper cleats on should help save you from this embarrassing situation and allow you to hold your ground or achieve some purchase to push the other guy back. And you can’t just have any ordinary cleats on. These cleats have to be specifically created to dig in deep into the turf. Aside from that, your shoes have to be able to bear your weight. If you’re a linebacker, you’re expected to weigh upwards from 250 pounds. Lesser shoes are bound to explode when subjected to this amount of weight coming from any person. Although these shoes are primarily designed for function and performance, comfort and weight should never be sacrificed. You’re expected to move with the agility of a ferocious ballerina through the clutch and you can’t do that if you’re weighed down by heavy shoes. 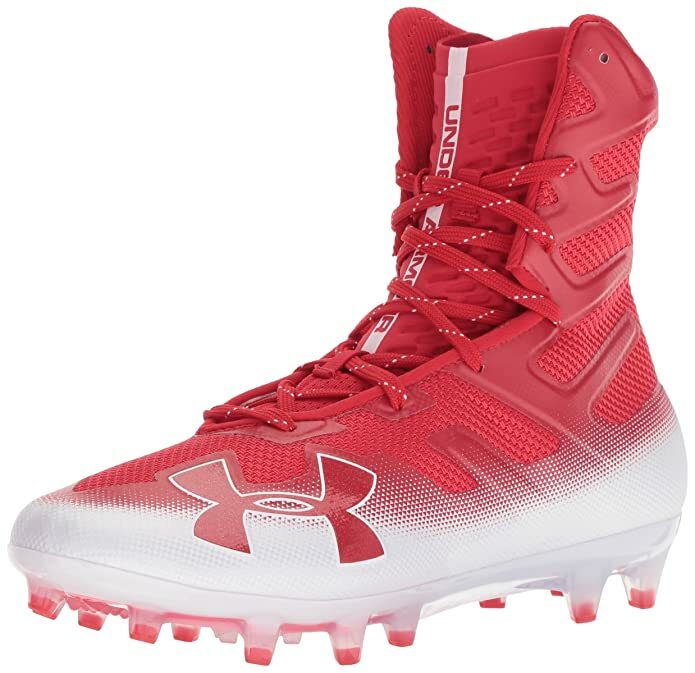 So, if you’re looking for proper cleats to serve you well, try looking at these New Under Armour MC Highlights. With a new design at a very affordable price point, they are definitely the best football cleats for linebackers. For the best head protection possible, get a Riddell helmet. The SpeedFlex is easily the most comfortable helmet I have ever used and wish I used through all my years of ball. It uses a shell constructed of a polycarbonate material. 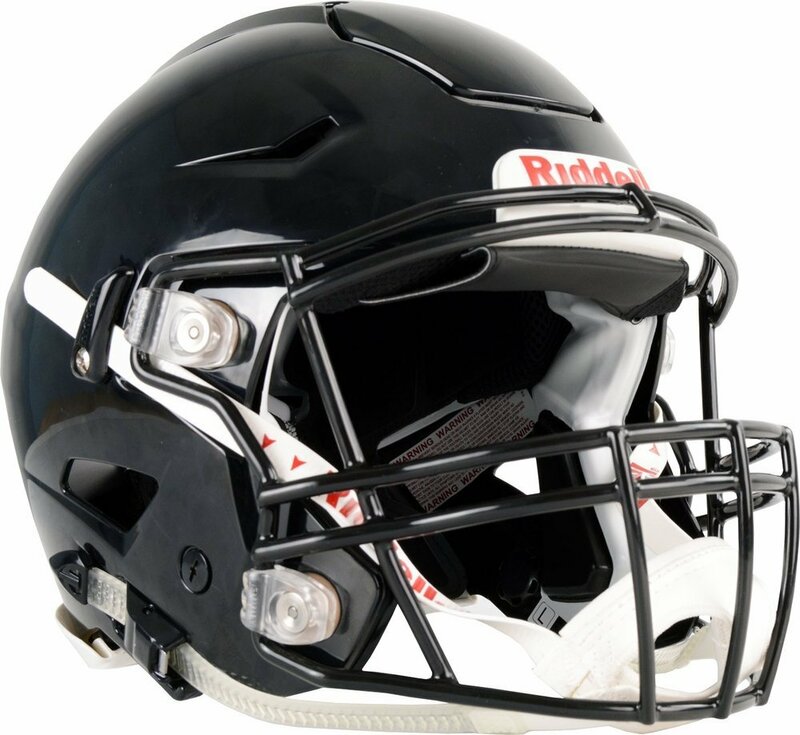 There’s also a built in chin strap that helps keep everything in place no matter how much damage you take on the field. This helmet has gone through the most stringent quality tests possible and is expected to become the standard helmet used in the NFL. the other guy slip away with proper gloves on. Choose gloves made of rigid construction so it can provide additional protection to your fingers because injuring them is going to introduce a whole world of pain that you can only imagine! 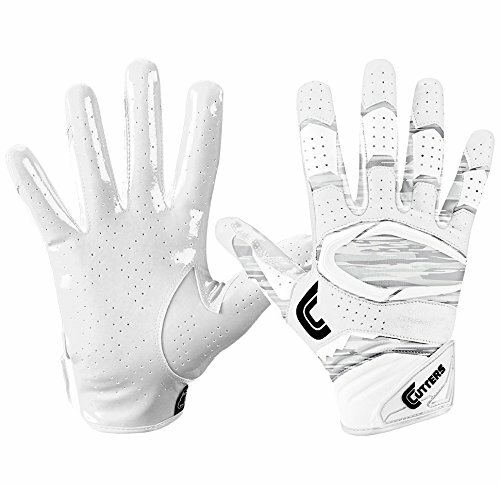 To date, Cutters has the best gloves in the market. It has excellent finger protection and support and the material provides excellent traction for grabbing or holding onto a sweaty opponent. No other player on the football field receives as much punishment as a lineman. Getting hit full force by another player weighing 300 pounds or more at full tilt is comparable to getting hit by a truck at full speed. Chances are, if you don’t have any protective layers on, you’re going to end up with a ton of injuries. So, make it a point to protect your body with protective items listed here. 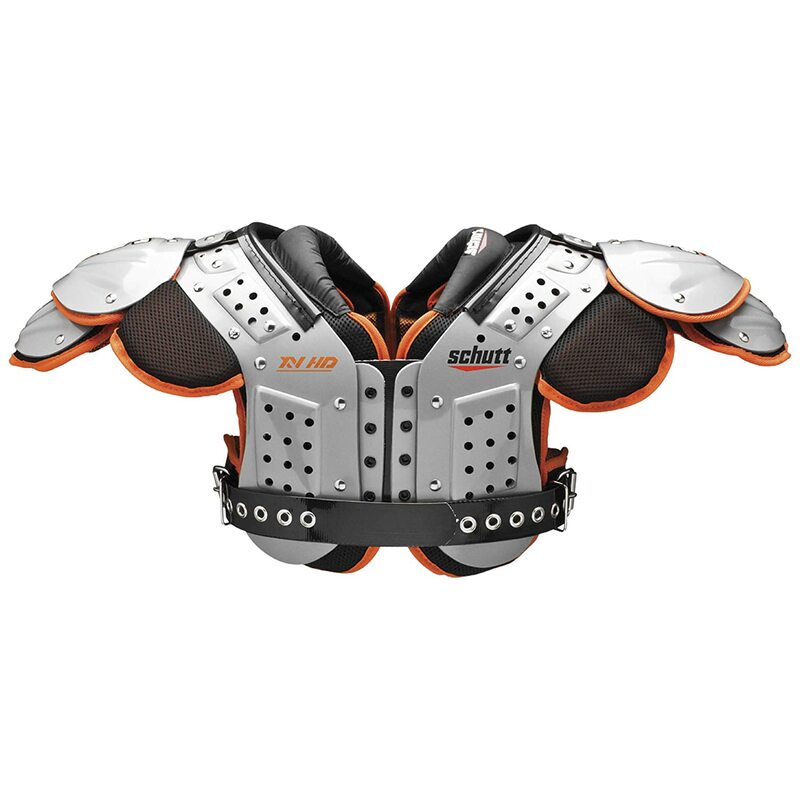 Shoulder pads allow you to avoid potential shoulder injuries by cushioning the impact directed at your shoulder area at the scrimmage line. They can also help enhance your fearsome image and make you look bigger and more intimidating to the opposing force therefore affecting them through psychological warfare. Pick shoulder pads that can absorb and redirect blunt force trauma applied to your shoulder area. And while you’re at it, include compression pads all over your body to help fend off injuries from sustaining impacts there. Just make sure it is light and has a slim profile so you don’t appear too big of a target on the field. 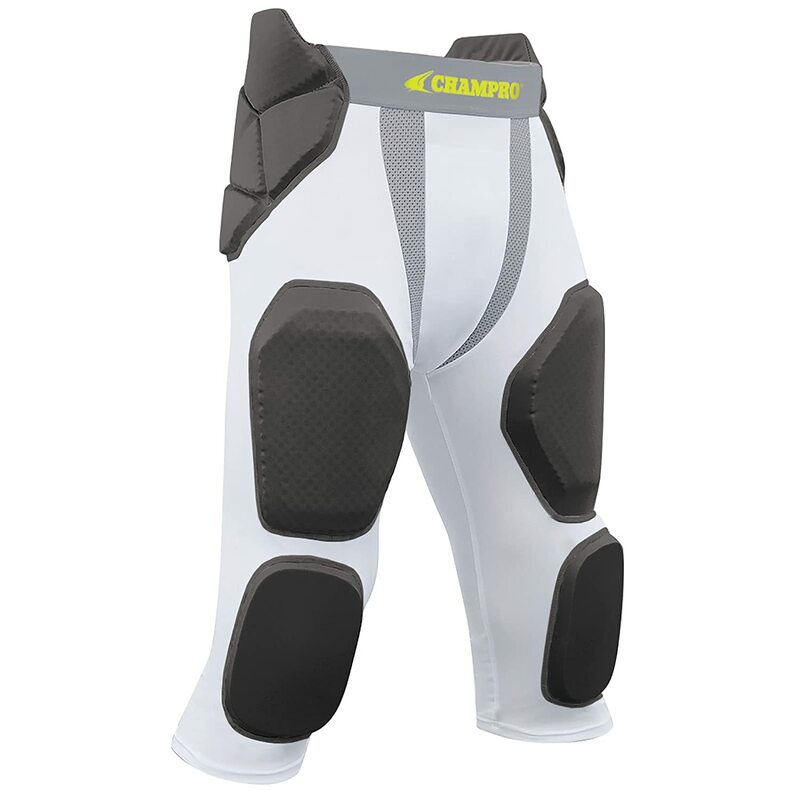 You want to protect yourself but you don’t want any of your movements hampered by these things so check out Champro’s Man Up line for excellent compression pads to include in your arsenal of protective equipment. And at the end of the day, you still want to end up looking pretty for that after game interview. You can’t smile with broken teeth and expect everyone to like what they see. So, make sure you have a mouthguard on. Clenching your jaws for the inevitable impact from an opposing player can cause a lot of jarring and you could end up getting some teeth knocked loose. 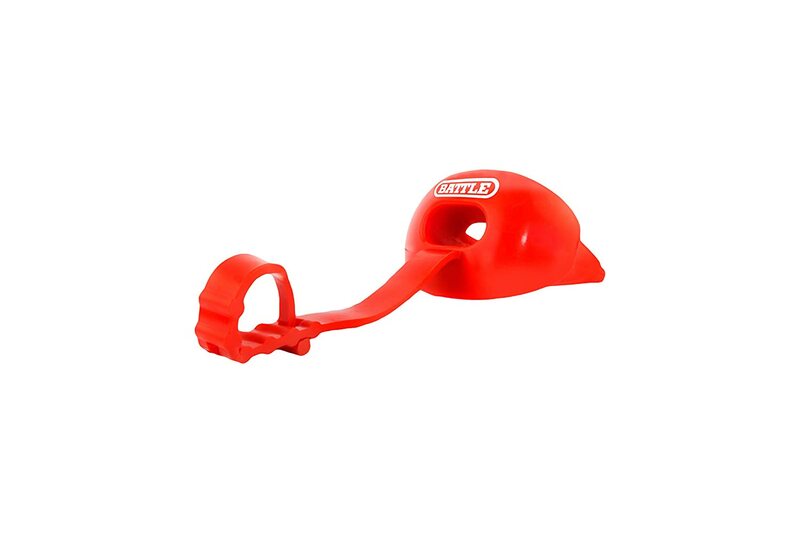 Battle Oxygen is one of the best manufacturers out there producing high quality mouth guards that allow you to protect your teeth without hampering your ability to breathe properly. Many linemen have fallen victim to accidents in that area and let me just tell you that that’s probably the worst injury one can suffer on the field! That pretty much sums up our take on the best football equipment for linebackers. So, protect yourself and make sure you dish out as much punishment as you can take! Check out out EliteGearGuide for Quarterbacks in 2019!